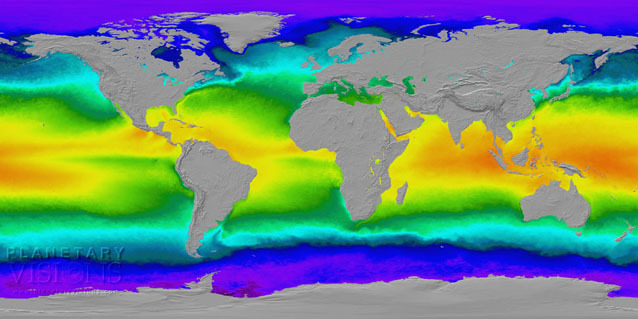 This map shows colour-coded ocean surface temperature based on satellite observations. The data was combined with a neutral shaded terrain map on the land as part of a consistant set of thematic maps for a printed atlas publised by Dorling Kindersley. Source data: NASA MODIS-SST product, ETOPO2 digital terrain.